In honor of my store being open about 2 weeks, I am throwing a sale! 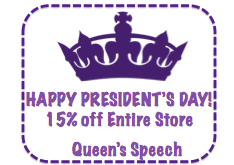 15% off all products today only! Please add me on facebook, when I reach 150 likes I will add a new Saint Patrick's Day Freebie! I am almost there and I have appreciated all your support and love so much in these first few weeks!